Derrick Kosinski & Scott Yager are joined by Devin Walker. Devin joins Derrick (@DerrickMTV) and Scott (@SHOTOFYAGER) to give his side of what went down during his final days on this season of The Challenge. He answers your questions, talks about whether he is upset with Cory for costing them their season by attacking Tony, if he thinks Tony should have been punished too, what led him to bother Bananas to the extent that he did, if he was trying to get Johnny to throw a punch and lastly, whether he thinks what he did was wrong. This is an episode of Challenge Mania that you do not want to miss. 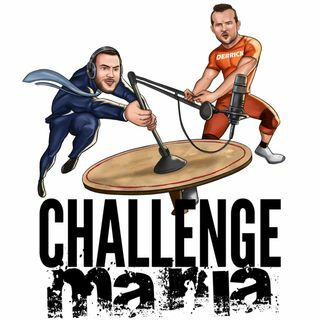 If you want more of Challenge Mania, head over to www.Patreon.com/ChallengeMania where we will be doing bonus episodes of THIS week's Challenge episode and every episode of The Challenge. We also choose one Patron a month to join us on Meet the Patrons, a special podcast series where we put you in the hot seat! Represent the podcast and your favorite Challengers over at www.ChallengeMania.Shop! If you cop some gear, take some pix and send them to us on twitter! @DerrickMTV @SHOTOFYAGER We WILL shout you out! Check out POSHMARK! Download the app and start scoring amazing clothes that you'll have to see to believe. You can get $5 off your first purchase with the code CHALLENGEMANIA.